When PFLAG’s founder, Jeanne Manford, walked with her gay son, activist Morty Manford, in the Christopher Street Liberation Day March in 1972, she didn’t know that her simple message of calling on families to support their LGBTQ children would eventually lead to a groundswell in parent activism and a revolutionary reshaping of LGBTQ family life. In the months following the march, in a Greenwich VIllage church basement, PFLAG was born. On March 11, 1973, a small group of parents, family members, and gay young people committed to a then-radical notion: family love and acceptance can heal family ruptures and save LGBTQ lives. Forty-five years later, that wild notion has been data-proven, and PFLAG has catalyzed a movement of loving LGBTQ families and supportive allies in the United States and around the world. Like PFLAG on Facebook, follow PFLAG on Twitter, or sign up-for email alerts to receive breaking news about this year's award winners and honorees! Join us in Washington, DC at the Mayflower Hotel, Autograph Series on Wednesday, May 9, 2018 to commemorate more than four decades of saving lives, one family at a time, and to help us celebrate the people and organizations who have contributed to that work, and to building diversity and inclusion everywhere. Celebrate 45 years of PFLAG's history with national leaders, staff, chapter volunteers, and more. Want to purchase a ticket on the day of the event? You're in luck! We still have tickets available for purchase at the door. Have questions about your ticket purchase? Contact Devon Davila (ddavila@pflag.org) to learn more! Rep. John Lewis was elected to Congress in 1986 representing Georgia’s 5th District. He is a member of the House Ways and Means Committee and is the ranking Democrat on its Subcommittee on Oversight. Rep. Lewis is senior chief deputy Democratic Whip and is often referred to as the “conscience” of the United States Congress. 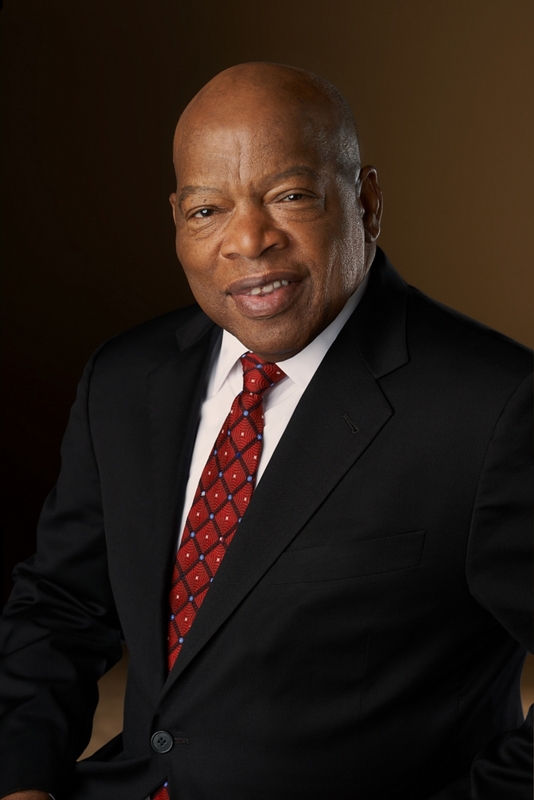 Rep. Lewis is an icon of the civil rights movement. Serving as president of the Student Nonviolent Coordinating Committee, he risked his life to bring about positive change. In 2011, he was awarded the Presidential Medal of Freedom, the nation’s highest civilian award. U.S. Senator Tammy Baldwin has committed her life’s work to public service, fighting for fairness, equality and opportunity because she believes that with each passing year and each generation, our country must become more equal – not less. She was born in Madison, Wisconsin and raised by her grandparents in the Badger State. She graduated from Madison West High School and went on to double-major in political science and mathematics at Smith College. In 1989, she received her law degree from the University of Wisconsin. Tammy has served on the Madison City Council, the Dane County Board of Supervisors and in the Wisconsin State Assembly. In 1998, Wisconsin’s 2nd Congressional District shattered the state’s glass ceiling and elected Tammy Baldwin as the state’s first female member of Congress and the nation’s first openly gay challenger sent to Congress. She served seven terms in the U.S. House of Representatives. In the House, Tammy was a champion of LGBT equality both at home and abroad. She helped lead the successful effort to enact the Matthew Shepard Hate Crimes Act, repeal “Don’t Ask, Don’t Tell” and was the leading voice championing a fully-inclusive Employment Non-Discrimination Act (ENDA). In 2012, Tammy became the first woman from Wisconsin and the first openly gay candidate to be elected to the U.S. Senate. In the Senate she serves on the Senate Appropriations Committee, the Senate Committee on Health, Education, Labor and Pensions (HELP), and the Senate Commerce Committee. Senator Baldwin has continued her commitment to fight for fairness – leading the charge for the Equality Act, historic, comprehensive federal legislation to ban discrimination against lesbian, gay, bisexual and transgender Americans. Polis has consistently advocated for LGBTQ rights. He is a founding member and co-chair of the Congressional LGBT Equality Caucus. He is an original cosponsor of the Equality Act, which would amend the Civil Rights Act of 1964 and other existing laws to prohibit discrimination based on actual or perceived sexual orientation or gender identity in the areas of employment, education, credit, housing, federal funding, jury service, and public accommodations. In addition, Polis first introduced Student Non-Discrimination Act (SNDA) in 2010. That bill would establish a comprehensive federal prohibition against discrimination in public schools based on actual or perceived sexual orientation or gender identity. 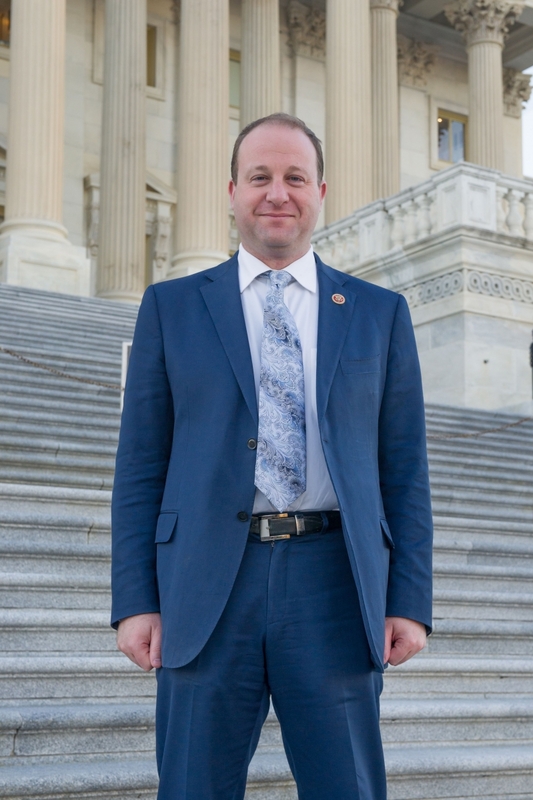 Last year, as a co-chair of the LGBT Equality Caucus, Polis helped re-launch the Transgender Equality Task Force. He also led a bicameral letter asking the Dept. of Education to remain committed to civil rights protections and enforcements. In addition, he serves on the Committee on Education and the Workforce, is the lead Democrat on the Early Childhood, Elementary, and Secondary Education Subcommittee, and is a member of the Higher Education and Workforce Development Subcommittee. 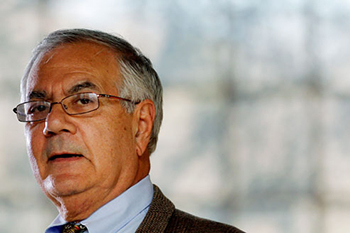 After graduating from Harvard in 1962, Barney Frank worked there as a teaching Fellow in government and Assistant to the Director of the Institute of Politics at the John F. Kennedy School. In 1968, he became Executive Assistant to Boston Mayor Kevin White. He then spent one year as Administrative Assistant to Congressman Michael Harrington. In 1972, he was elected to the Massachusetts House of Representatives from downtown Boston, and immediately filed the first gay rights (as it was then called) bill in the history of Massachusetts. During his time in the Mayor’s Office and the Massachusetts house, he taught part-time at the University of Massachusetts in Boston, Boston University, and the Kennedy School at Harvard. In 1974, he entered Harvard Law School, graduating in 1977, and passing the Massachusetts bar in 1979. In 1980, he won a seat in the U.S. House of Representatives. His thirty-two-year career there included serving as Chairman of the House Committee on Financial Services from January 2007 to January 2011. He lives in Newton, Massachusetts and Ogunquit, Maine with his husband James Ready. 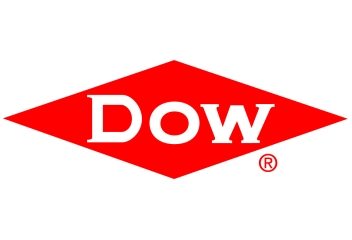 The Dow Chemical Company (Dow) combines science and technology knowledge to develop premier materials science solutions that are essential to human progress. Dow is a longtime corporate partner of PFLAG National. GLAD, Dow’s Employee Resource Group for LGBTQ+ and Ally Team Members, has championed a fully inclusive workplace for more than 18 years. The network includes over 25 chapters and more than 3,400 participants at more than 100 Dow sites in more than 30 countries. In recognition of its inclusive workplace, Dow was named by the Human Rights Campaign (HRC) Foundation as a 2018 “Best Place to Work” for LGBTQ equality. 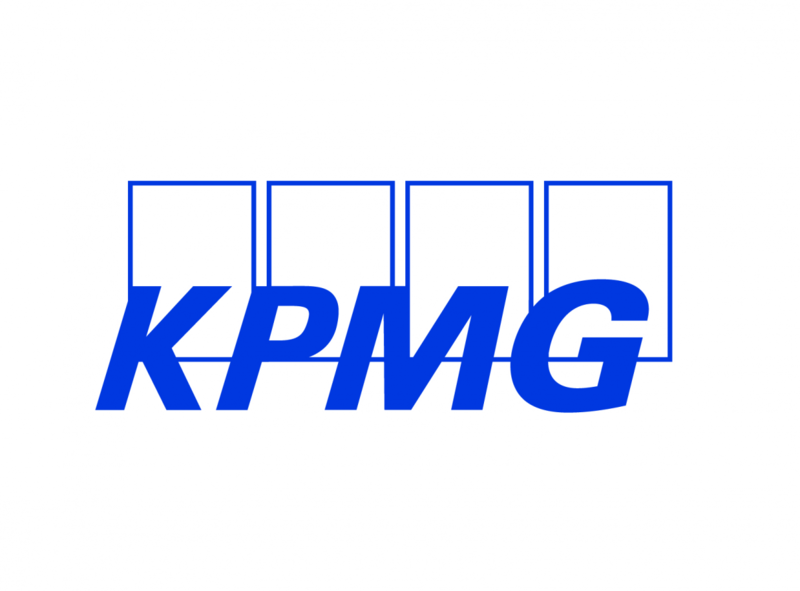 This marks the Company’s 13th consecutive year receiving a perfect score on HRC’s Corporate Equality Index. 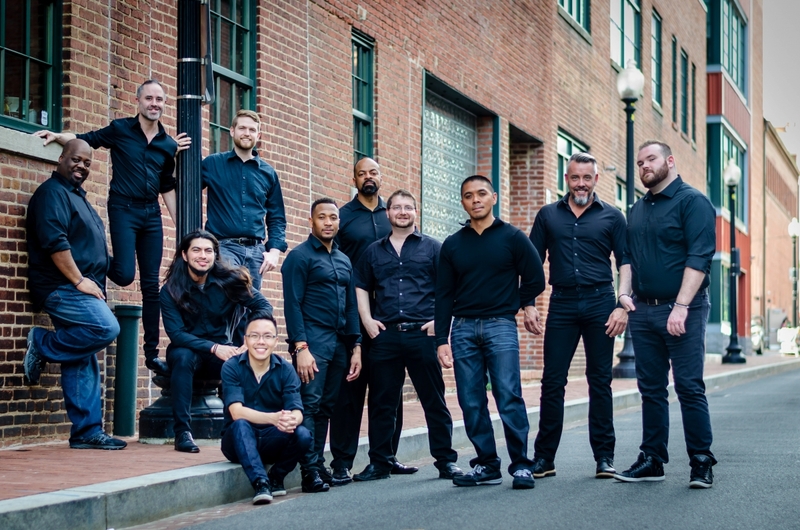 Led by Artistic Director Thea Kano, the Gay Men’s Chorus of Washington, DC (GMCW) is now in its 37th season. GMCW sings to inspire equality and inclusion with musical performances and education promoting justice and dignity for all. GMCW has more than 250 singing members, four select ensembles, 100 support volunteers, more than 400 subscribers, 500 donors, and an annual audience of more than 10,000 people. The Chorus and its ensembles have kept a very busy schedule in recent years, with more than 100 outreach performances each season and almost 5,000 volunteer outreach hours. Recent outreach performances include the National Institutes of Health, Whitman Walker Health, DC Flag Football, Washington National Cathedral, and the White House holiday tour. In May 2016, GMCW ensemble Potomac Fever traveled to Ukraine for an historic LGBT music and outreach tour and in July 2015, members of GMCW embarked on a first-ever tour by a gay chorus to Cuba. In June of 2017, over 100 members of GMCW traveled to six states in four days for a Southern Equality Tour. GMCW has performed for President and First Lady Obama, eight consecutive years at Vice President and Dr. Biden’s residence, at the historic Carnegie Library in honor of gay rights activist Dr. Frank Kameny, twice at the Kennedy Center Honors, and as part of the inaugural celebrations for President Obama and President Clinton. GMCW has won three Washington Area Music Awards (WAMMIE) - for Best Classical Recording, Best Choral Recording and Best Choral Group. 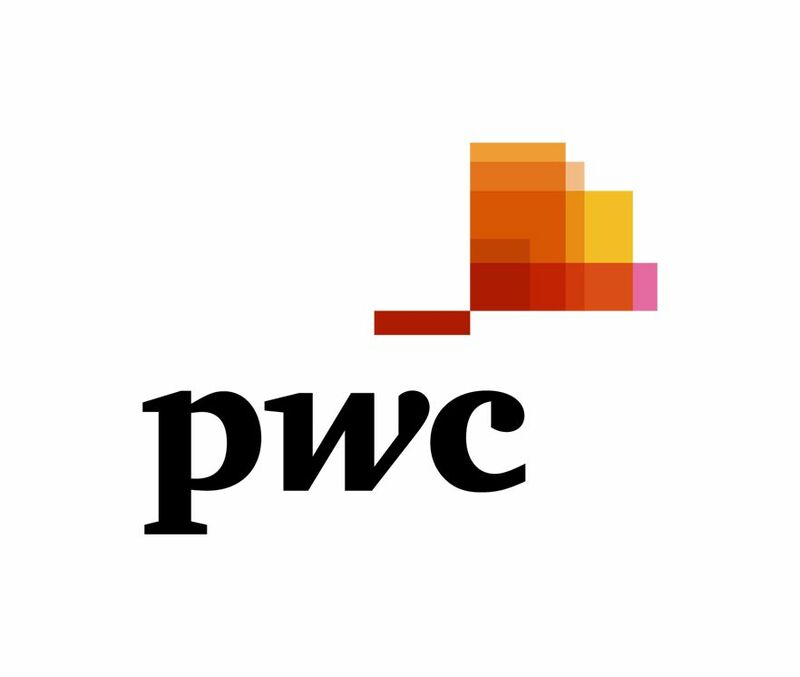 GMCW sponsors four select outreach ensembles: Potomac Fever, a 15-voice close harmony group; Rock Creek Singers, a 35-voice chamber ensemble; Seasons of Love, an inspirational and gospel group; and 17th Street Dance, a jazz dance ensemble. Since 2001, the Chorus has maintained a robust youth outreach program, GenOUT, that offers on-school-time programs, as well as free tickets to high school students, parents and teachers. In 2015, GMCW launched the GenOUT Chorus, the first LGBTQ youth chorus in the District area. The Chorus made its debut in 2015 and has grown to include over 25 students from 16 area schools. GMCW is a member of Chorus America, the Gay and Lesbian Association of Choruses (GALA Choruses), and the Cultural Alliance of Washington. Jessica Halem, MBA, is the inaugural LGBT Program Director for Harvard Medical School. It all began for her in the early 90s when after graduating from Sarah Lawrence College, she worked with former Congresswoman Bella Abzug in New York City. Jessica was then recruited to lead the Lesbian Community Cancer Project in Chicago. And in 2008, she served on Barack Obama's first LGBT Advisory Committee. While in Chicago, she trained at Second City where she cultivated her improv skills and led a successful comedy career for 15 years. Jessica has shared the stage with Lady Gaga, Indigo Girls, and Margaret Cho. 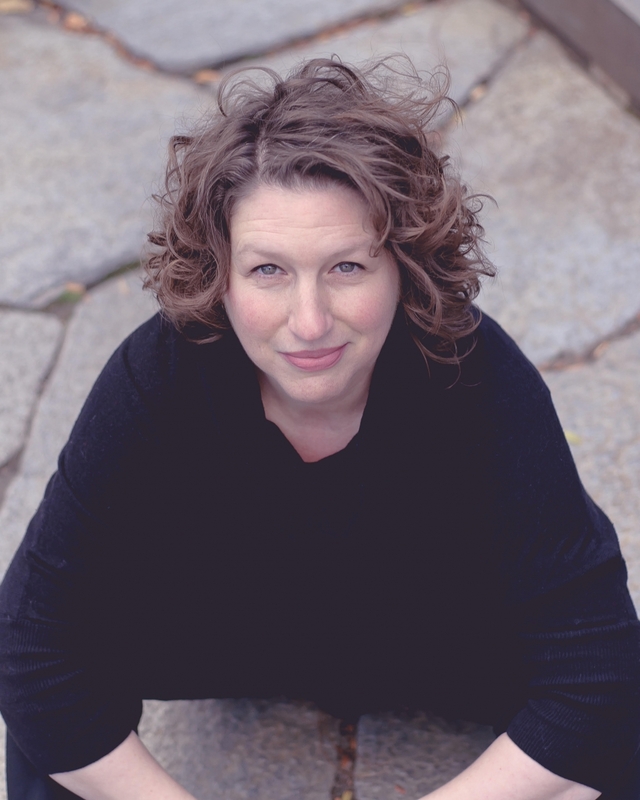 Today, she serves on the Board of the Tegan and Sara Foundation and lives in Cambridge, Massachusetts with her partner Jen Manion who is an Associate Professor of History at Amherst College. Planning to attend the PFLAG 45th Anniversary Celebration and want to do even more to show your support for PFLAG and its network of 400+ chapters nationwide? Want to support and celebrate the amazing individuals and organizations that will be honored throughout the evening? Looking for a great reason to spend the evening with PFLAG National supporters, staff, and volunteers? Then please consider in joining the PFLAG 45th Anniversary Celebration host comittee! Contact Elijah Perry at eperry@pflag.org to learn more! Interested in joining the PFLAG 45th Anniversary Celebration host comittee? Contact Elijah Perry at eperry@pflag.org to learn more! With the support of our corporate partners, event sponsors, and supporters the PFLAG 45th Anniversary Celebration will include a live auction and raffle. All proceeds will benefit PFLAG. Purchase tickets now for the opportunity to win there exciting auction packages and raffle prizes, brought to you by PFLAG National Partners including American Airlines, Marriott International, R Family Vacations, and Whirlpool Corporation! 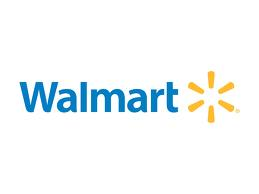 Choose from any of Whirlpool Corporation’s brands! Join us at the PFLAG National 45th Anniversary Celebration and be entered to win a $2,500 Shopping Spree with Whirlpool Corporation. All guests will be entered for an opportunity to win with additional raffle tickets available for purchase on site. LGBTQ Family & Friends Club Med Sandpiper Resort. Spend six days and five nights (July 14-19, 2018) at the ALL-INCLUSIVE Club Med Sandpiper Bay resort. This package includes 100,000 American Airlines AAdvantage miles for your trip! Explore the “Crossroad of the World” at this Luxurious Urban Oasis. 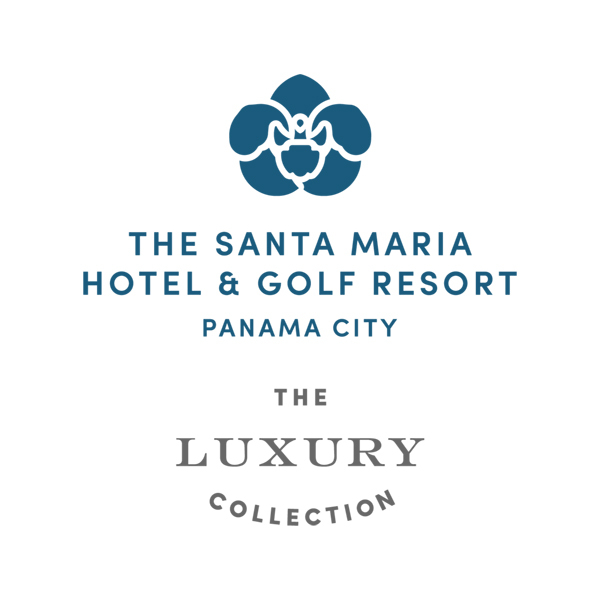 Enjoy three nights at The Santa Maria Panama, a Luxury Collection Hotel as well as complimentary buffet breakfast for two at Mestizo Restaurant. This package includes 450,000 American Airlines AAdvantage miles for your trip! Enjoy a Sophisticated Oasis on the Shores of the Pacific. Spend five nights at The W Punta de Mita as well as dinner for two at the Spice Market. This package also includes 450,000 American Airlines AAdvantage Miles for your trip! Welcome Aboard. We are glad to be your airline. Fly to these amazing destinations on American Airlines, PFLAG National’s long-standing partner and favorite airline. Interested in becoming a PFLAG 45th Anniversary Celebration sponsor? Check out the "Become a Sponsor" tab, the PFLAG 45th Anniversary Pledge Form, or contact Elijah Perry (eperry@pflag.org) to learn more! PFLAG National would also like to thank our corporate partners who share our vision of diversity and inclusion and have joined us in our mission of advancing equality. Interested in joining this distinguished list? To position your organization as a leader and work in partnership with PFLAG National, contact Elijah Perry (eperry@pflag.org). Looking for a way to do good and affirm your family or your organization's commitment to diversity and inclusion? Want to support and celebrate the nation's oldest and largest organization dedicated to bringing people who are LGBTQ, their families, and allies together to achieve equality for all? Looking for a fantastic reason to spend some time and see the sights in Washington DC this spring? Then please consider sponsoring the PFLAG 45th Anniversary Celebration this year. Contact PFLAG National's Corporate Development Manager, Elijah Perry (eperry@pflag.org, 202-684-9891) to learn more! $25,000 - Presenting Sponsor - Includes 15 tickets, verbal recognition from podium, and much more! $10,000 - Lead Sponsor - Includes 10 tickets, logo placement in printed and electronic materials, and more! 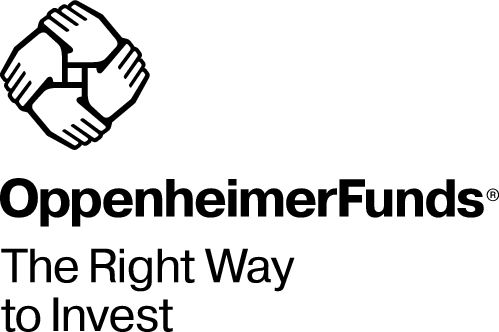 $5,000 - Best Friend Sponsor - Includes 6 tickets, logo placement in printed and electronic materials, and more! $2,500 - Friend Sponsor - Includes 4 tickets, name listing in printed and electronic materials, and more! $1,000 - Sponsor - Includes 2 tickets, ad in event slide show, and more! Contact Elijah Perry (eperry@pflag.org) to learn more about sponsorship benefits at each level, make your pledge to the nation's oldest ally organization, and to help PFLAG National celebrate 45 amazing years dedicated to support, education and advocacy for families, allies and people who are LGBTQ. If you are a member of the media and want to cover the PFLAG 45th Anniversary Celebration, please contact PFLAG National Director of Communications, Liz Owen by e-mailing lowen@pflag.org or calling (202) 467-8180 ext. 214. Please note that access to the event requires a pre-approved media pass. Be sure to Like us on Facebook (www.facebook.com/PFLAG) and follow us on Twitter (@PFLAG) to receive breaking news.